This McLaren M23 was yet another evolution of a truly great car was marked by the implementation of further rule-changes, most notably in terms of body-work height restrictions (hence the new airbox), further limitation of bodywork extension behind the rear axle-line and a new minimum width. 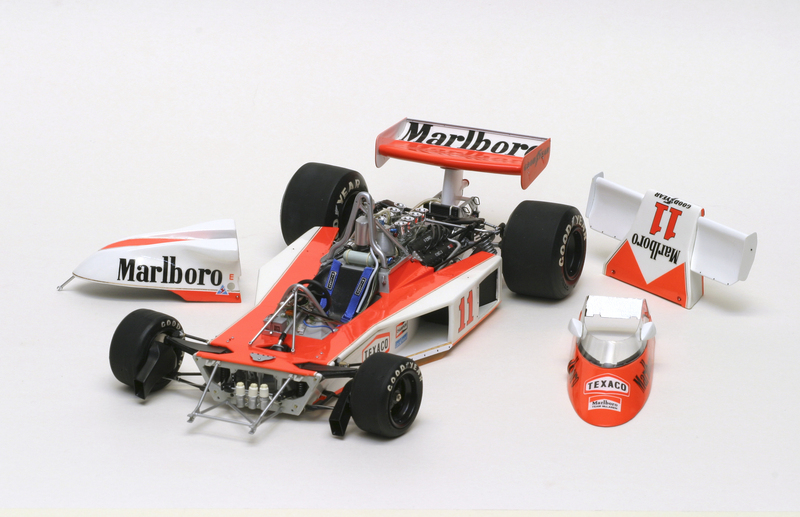 The late signing of James Hunt meant a potential clash of ideals at McLaren, but the rather less disciplined driver with real racer attributes again brought the best out of a quite old design. James drove courageously, fearlessly and ‘against all odds’, to win the Championship for drivers, with six wins. The year was marked by several decisions in court, rather than on the race-track, a horrendous life-threatening accident and equally amazing come-back by Niki Lauda in the Ferrari 312T2. 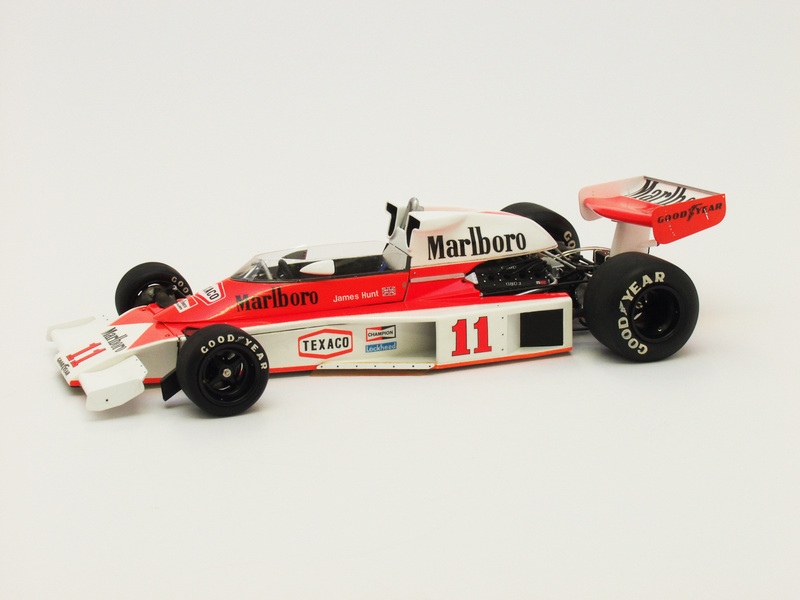 These factors conspired against James Hunt, but he tigered mightily to win in Canada and at Watkins Glen and drove his heart out at Fuji to deservedly win the 1976 Title. During 2015 I worked on the production of my fourth Photobook, ‘Volume 2: McLaren M23, (1974 and 1976)’. 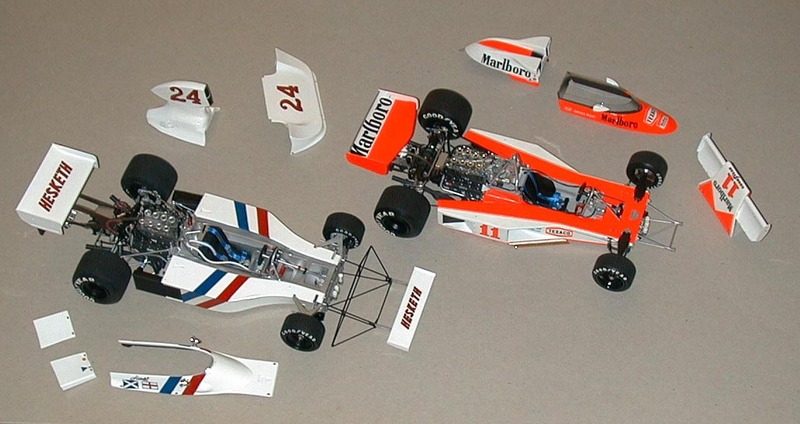 This follows the first three, namely ‘MRO F1 Engineering – the first twenty years’, the second one, ‘Volume 4: McLaren M19C, (1972)’ and the third ‘Volume 1: Hesketh 308, (1975)’. This most recent photobook relating to the McLaren M23 was released on Nov 29th, 2015. The first book generously covers the whole of my modelling experience interacting with the real Formula One world and encompasses 70 pages of abundant photos and text. 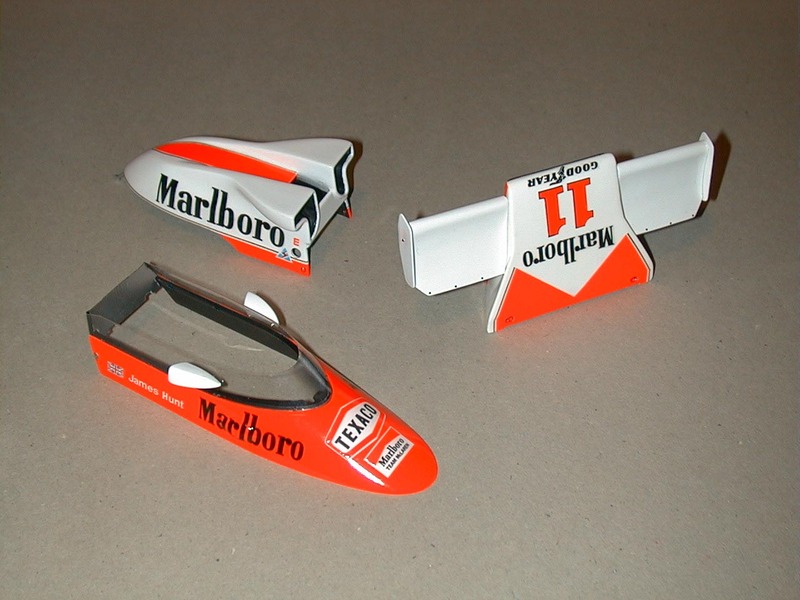 This much larger McLaren volume (124 pages) is similar in presentation to the second and third 60-68 page books and describes in detail the production of two 1/12 scale McLaren M23 models. Pictures of the McLaren models during production are interweaved with photographs of the real car during restoration and also the car as it was in the mid 1970’s. These books are described via the interactive banner and posts on the home page and also via Twitter each providing links to the electronic version on Photobox. Copies can also be purchased through myself for £95 excl Postage and Packing.